You may feel that I am misleading you through the headline. But, sincerely speaking there is an express way to Canada through Canada Express Entry. If you have valid work experience just create a Canada Express Entry Profile after seeking the guidance from the immigration consultants. Canada requires some professionals who are ready to work in Canada. The candidates who are invited to apply for permanent residence will be granted visa within six months. The processing time may be less than six months sometimes. To apply for the Canada Express Entry, you must create an express entry profile. There are no time limits you can create the express entry profile any time throughout the year. The profile is active throughout the year. Canada Express Entry is the dynamic, responsive system that connects the express entry profiles to the Canada employer. This is a skilled immigration program of Canada; skilled professionals who join Canada workforce will have the similar benefits to that of Canada citizen. 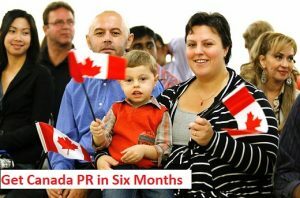 Canada Express Entry was started in 2015 January and till date; it successfully issued invitations to over 30,000 skilled professionals. In 2016 the express entry is moving at a great pace. Canada requires responsible citizens who adhere to the law of lands. The candidates through the process will assess based on various parameters such as language skills, work experience, Job offer, and age. Once after receiving Invitation to Apply for Canada Permanent Residence, the candidates have to apply within 60 days. Candidates willing to apply for the Canada Express Entry, please go for the assessment at opulentus the global consultancy to seek the advice and increase your chances to get the Canada PR. Pre-assessment would help you to improve your score and guidance will bring awareness about the procedure and avoids failure of your application. India to Canada – Which Visa Do You Choose? I have an active profile in skill pool under express entry program. What’s the best way to get a Technical Project Manager, Business Analyst job in Canada. ANY BUSINESS MIGRATION OR INVESTOR CATEGORY FOR CANADA? I will love to continue my career with my family in Canada so that I can be useful for them & my country,due to my experience in production line & electrical technician.. I am interested! 🙂 I’m a Filipino and I’m hoping that I could go to Canada to try a life there. Yes of course It was earlier very tough canada immigration ministry is in consultation process to ease the norms related to canada express entry. Hello! My name is Caetano, I’m Safety Technician. I am looking an opportunity. Can you help me? I’m really interested to live in Canada. I’ve family there, (daughter, son-in-law and grandchildren), but I guess it’s kind of difficult because I’m 56 years old, but I have a good work experience in Systems Programming and Development . I’ve been working in IT area since 1986 and I have been working with tool SIEBEL-CRM, Development/Programming and SIEBEL Configuration since 2000. I’m a Siebel Consultant with Technical Profile.